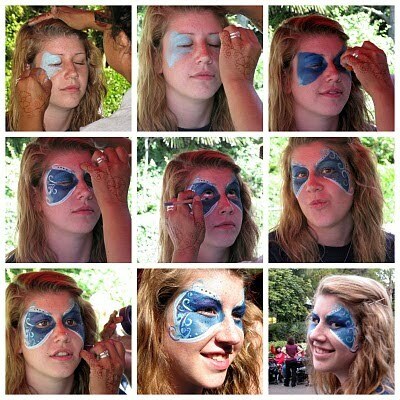 Erin, 17, getting her face painted, isn't she gorgeous. This was at the San Diego Zoo, on Wednesday. It was a great day. Everyone looks great. Everyone (even the teenagers) looks like they are having fun. My favorite shot has to be you with the two kids. I might have to have someone take my picture with the kids when everyone is here for the wedding..
She is indeed! Happy Independence Day Jan! She is gorgeous! Love the paint, someone is very talented!